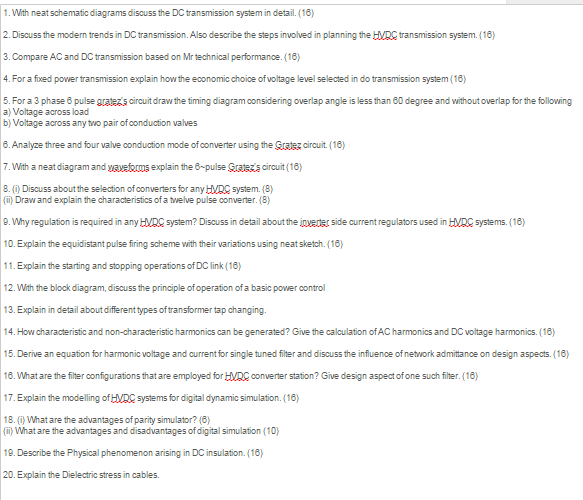 EE2032 High Voltage Direct Current Transmission Important Questions 2015 are given below. Those who are interested in downloading this question paper make use of these important questions. The exam of EE2032 High Voltage Direct Current Transmission commences from Nov 2015 by Anna University Chennai. Get more details below. 13. Explain in detail about different types of transformer tap changing. 20. Explain the Dielectric stress in cables.